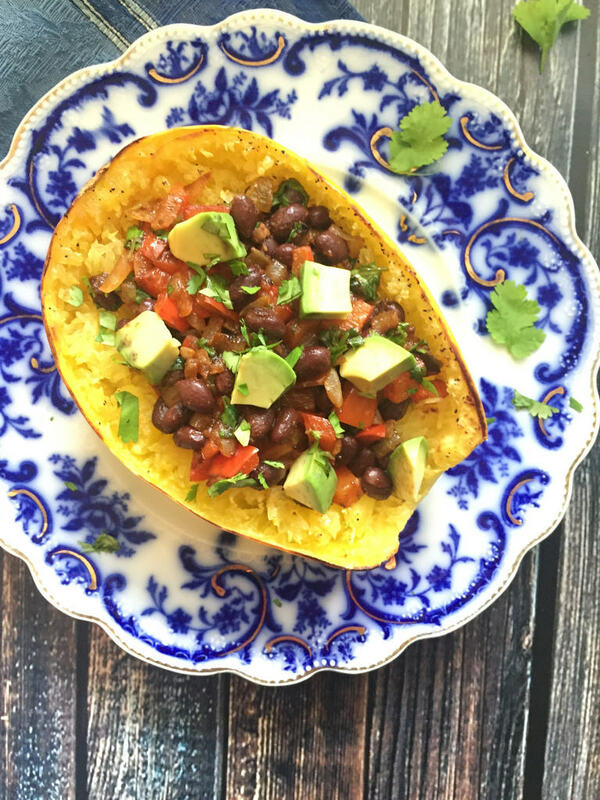 Learn how to roast spaghetti squash and then create these playful, familiar, and vegetarian Taco-Topped Spaghetti Squash Bowls for your family. 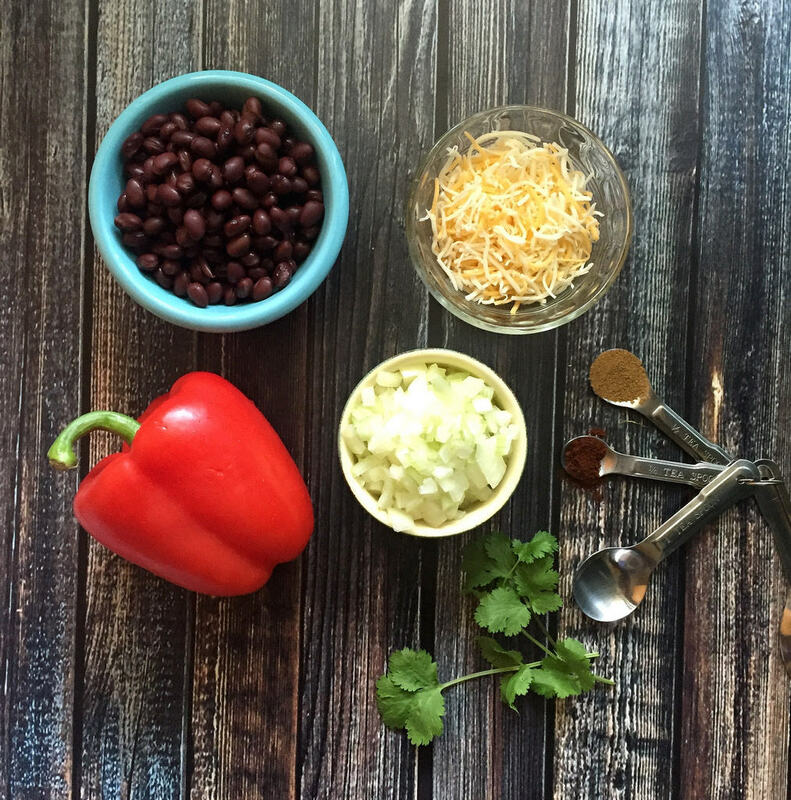 This recipe adds a fun new twist to taco night. And once you learn my easy-does-it technique for roasting spaghetti squash, dinner will be on the family table in no time. 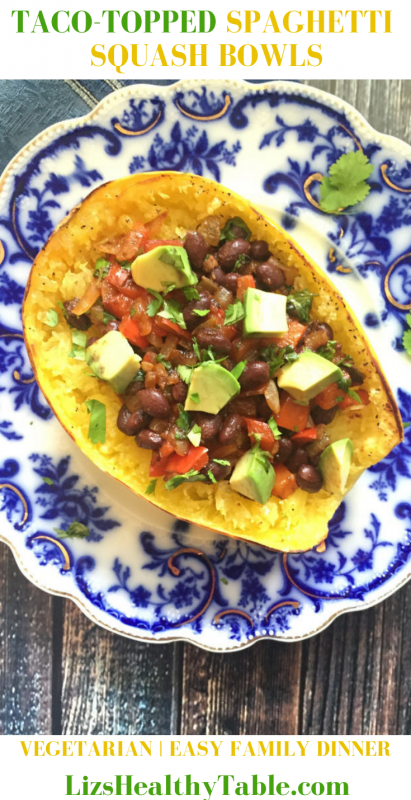 Don’t be intimidated by spaghetti squash. 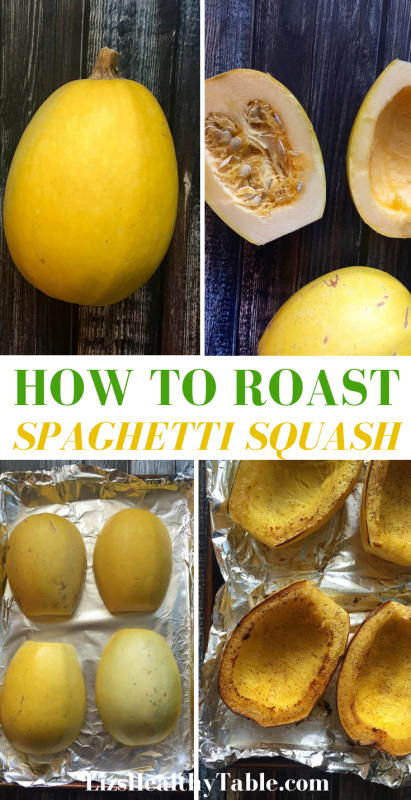 Follow my step-by-step guide on how to roast spaghetti squash. 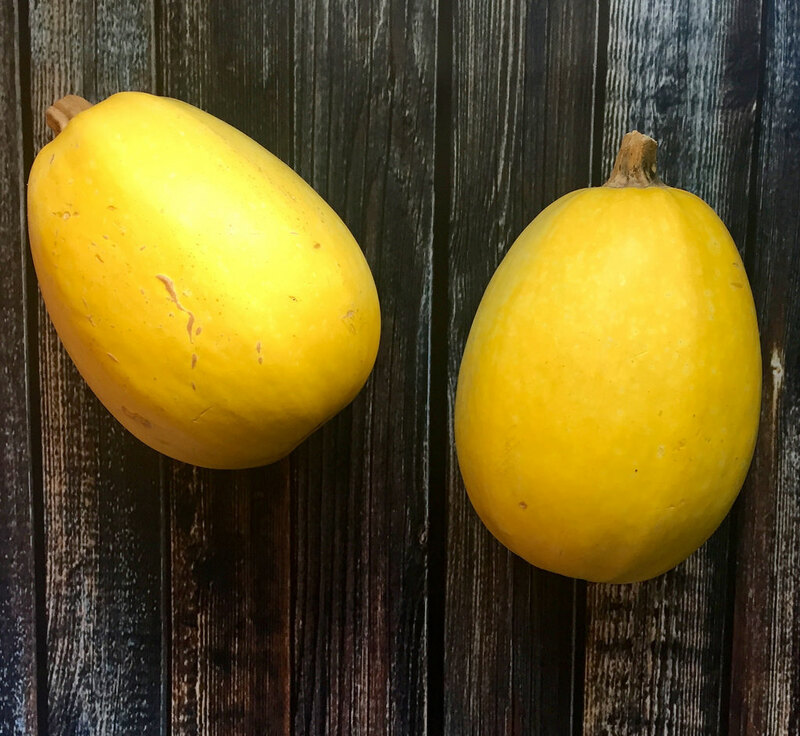 Start with two smallish spaghetti squash, each weighing less than 2 pounds. 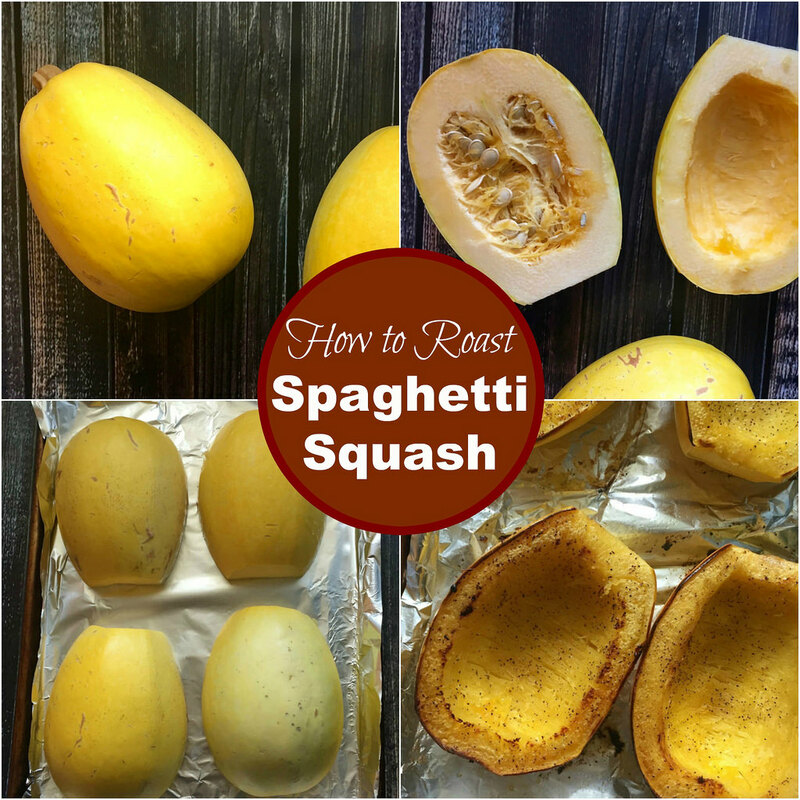 Carefully slice off the stems and then slice the spaghetti squash in half, lengthwise. Scoop out the seeds and save for roasting. 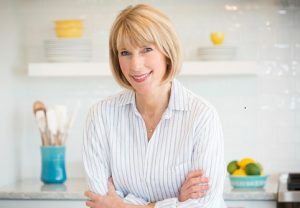 For more on what to do with the seeds, check out Ellie Krieger’s recent story in the Washington Post on, Nutritious Foods You Should Stop Throwing Away. 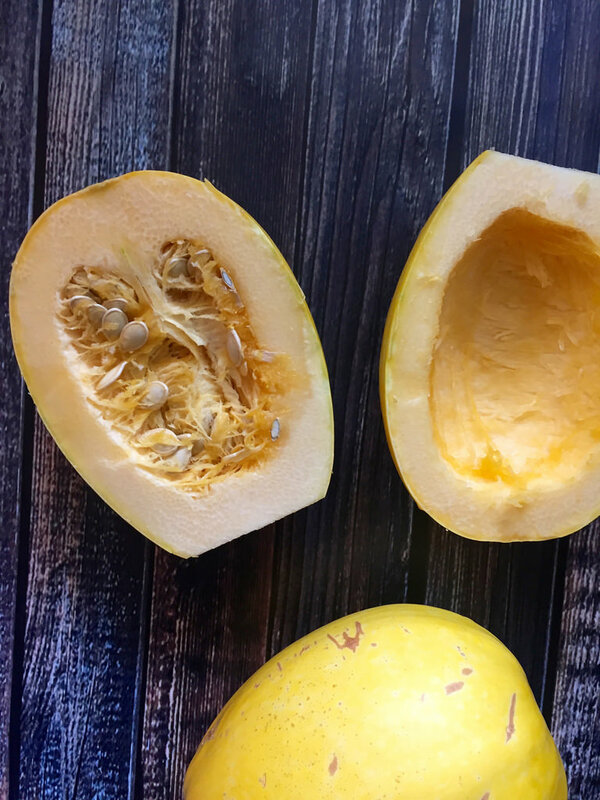 Season the inside of each squash bowl with extra virgin olive oil and kosher salt and pepper. 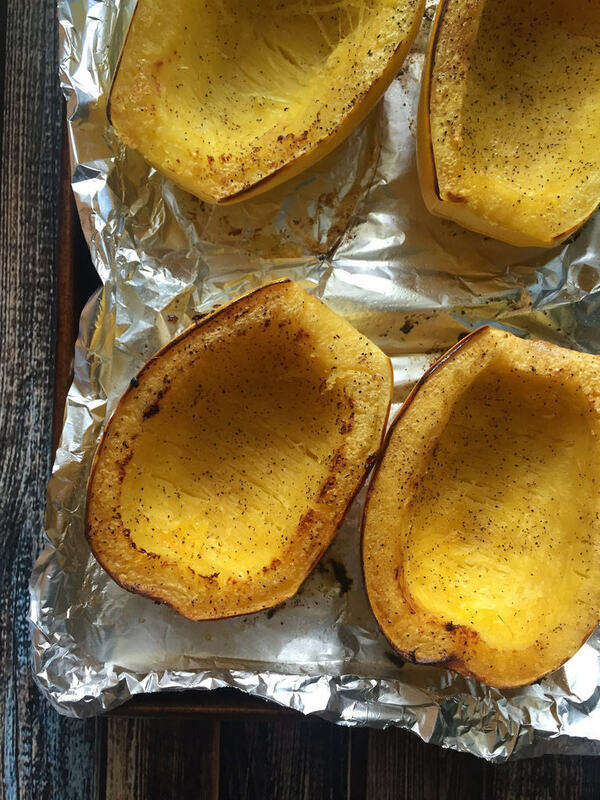 Place the squash, cut side down, on a foil-lined baking sheet. You can spray the foil with nonstick spray or not. It does not matter. For the topping, I sauteed bell pepper, onion, black beans, cumin, chili powder, and cilantro. 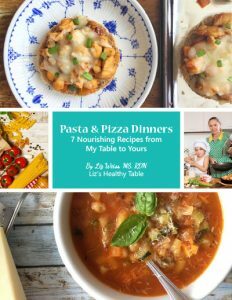 I’ve also made this with meat-free Beyond Beef Crumble. (I love that product)! 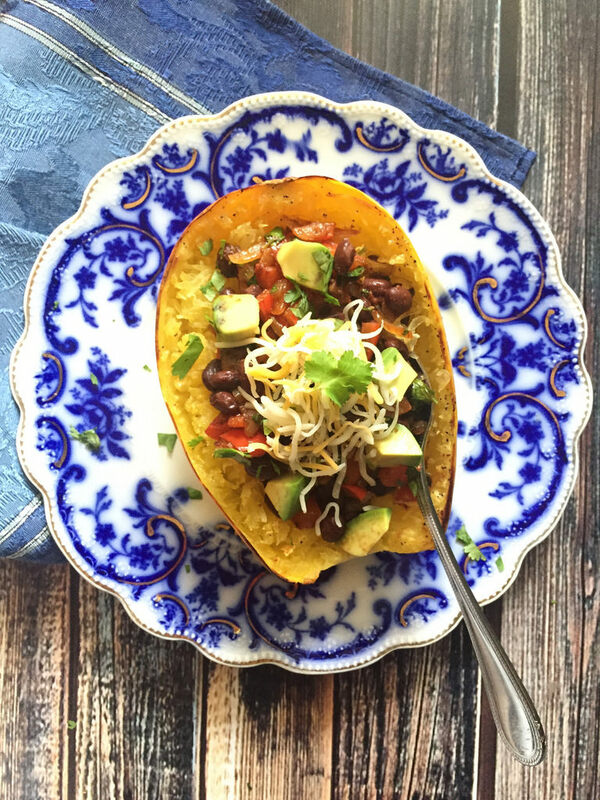 Playful dinner “bowls” are pretty trendy right now (thank you Chipotle), which is why I was inspired to use spaghetti squash as my vessel. Topping options include cheese, avocado, cilantro, and just about anything else you like on your tacos. I've been on a spaghetti squash jag this fall, and I'm having quite a bit of fun dreaming up fun toppings. 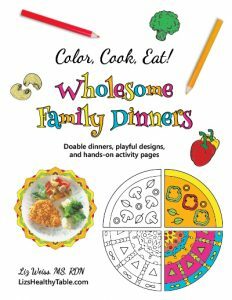 This topping takes just minutes to prepare, and I think your kids will love it since tacos are always a big hit with families. Preheat the oven to 400°F. Line a rimmed baking sheet with aluminum foil and lightly coat with nonstick cooking spray. Carefully trim off the squash stems. 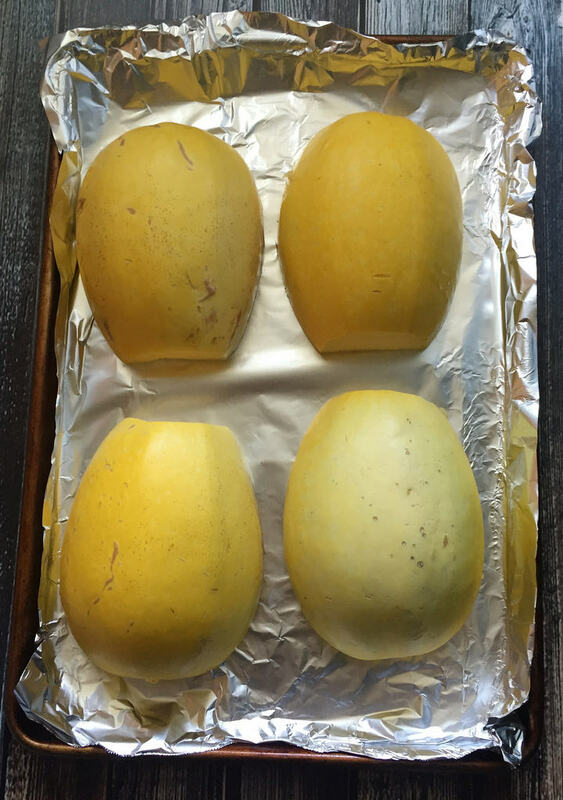 Cut squash in half lengthwise, and use a spoon to remove the seeds. Brush the insides of the hollowed out squash with 1 tablespoon of the olive oil, salt, and pepper. Place, hollowed side down, on the prepared baking sheet. Place in the oven and bake until tender, 35 to 40 minutes. While the squash is in the oven, heat the remaining 1 tablespoon of oil in a large nonstick skillet over medium-high heat. Add the bell pepper and onion and cook, stirring frequently, until tender and caramelized, 7 to 10 minutes. Adjust the heat as you go; you don't want the onion to burn. Stir in the beans, cilantro, barbecue sauce, cumin, and chili powder, and stir to combine. Heat for about 1 minute. Set aside. Remove the cooked squash from oven and allow to cool about 10 minutes. Shred the cooked squash into spaghetti-like strands. Top each bowl with the bean mixture and optional toppings as desired. It's not easy to cut squash in half, so take your time. To soften the squash first, poke a few holes into the squash, place on a microwave-safe plate, and heat in the microwave about 3 minutes. 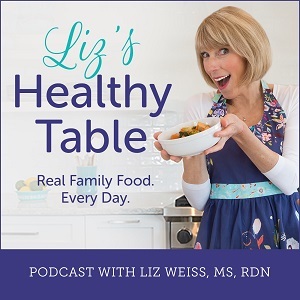 Great tips on cooking spaghetti squash and I love how you’re using it! 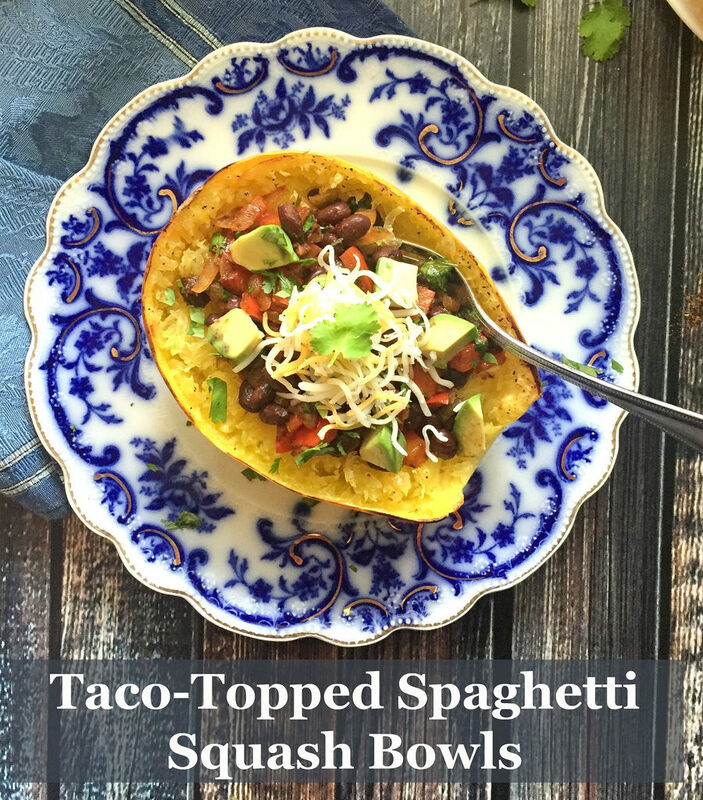 such a great use of spaghetti squash! I can’t get enough of it! This looks delicious! So glad I just picked up a spaghetti squash too last night! Great idea! I couldn’t tell from the recipe if the spaghetti squash strands are parry of the recipe, or just the shell for serving. Did you leave some on the edge of the shell to be eaten with the bean mixture. Thanks for this great, healthy idea! 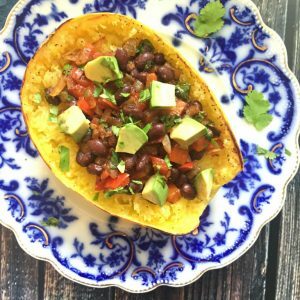 I’ve been looking for new vegetarian ways to use spaghetti squash. My family loves it!